GRESLEY ‘A4’ No. 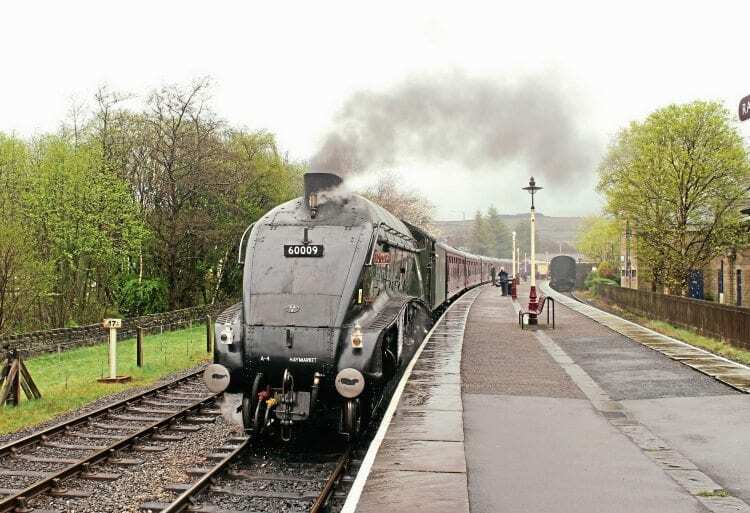 60009 Union of South Africa returned to steam at the East Lancashire Railway on April 13 following extensive repairs to its frames, axleboxes and motion by Riley & Son at Heywood. Regrettably, its debut was short-lived and the ‘Streak’, which is under the custodianship of Ian Riley, was taken out of service again the following afternoon after the discovery of a defect in the outer firebox. This was subsequently rectified and ‘Number Nine’ was expected back in traffic on April 22.